A little while ago I had written about my quest for non-vegetarian pickles. Someone obviously remembered and I received a mail saying that, that is pricesly what they have began selling. 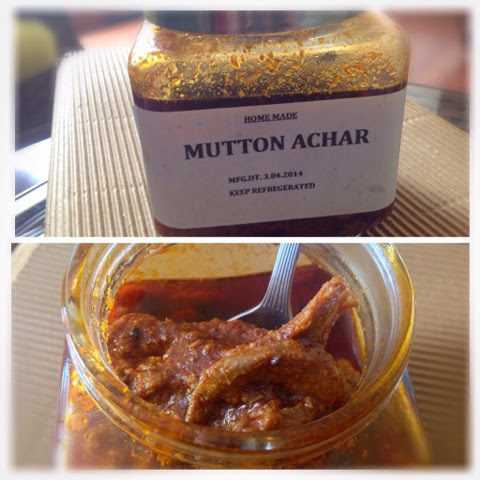 And promptly the next day I received two jars of Geeta Nanda's meat pickles - Chicken & Mutton. The chicken pickle wasn't bad but too vinegary for me, though Geeta did take the feedback in. 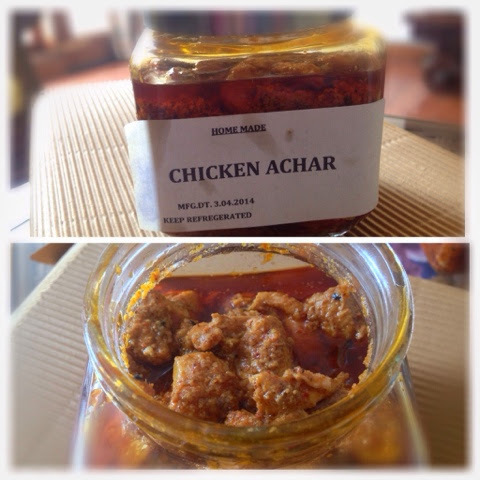 Priced - Chicken Pickle Rs 400 for half kg per jar. The mutton pickle I really did enjoy. Certainly more up my alley. More depth in the flavours and better balance. Plus I am more inclined towards gamier meats for my pickles . So it can be quite a subjective thing - try both and make your pick. Rs 600 per half kg jar. Any larger quantity of 2kg and above could be discounted .